The COA is committed to promoting access to leadership opportunities. Do you want to improve your leadership skills? The Canadian Orthopaedic Association (COA) is committed to promoting access to leadership opportunities in order to develop and support underrepresented groups within the orthopaedic community. 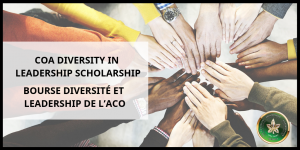 In 2019, the COA will offer a scholarship with rewards valued between $100-$500 CAD per recipient, for COA members to attend a leadership course or conference of their choice. This scholarship will be awarded to orthopaedic residents, fellows, or active surgeons, on a competitive basis, to be used to defray costs related to attendance. Awards will be disbursed after proof of attendance and receipts are submitted. All orthopaedic surgeons and trainees who identify as either female, or who are members of underrepresented groups in the specialty are encouraged to apply. Be a member in good standing of the Canadian Orthopaedic Association. Identify as a female or a member of another underrepresented group in orthopaedics. Demonstrate enthusiasm for developing leadership skills. Identify a specific leadership course that is scheduled to take place over the 12 months following the application deadline. Title and brief description of a leadership course which you hope to attend, with a web link to the full course description. A brief personal statement, no longer than 300 words, describing your interest in leadership, how you will apply the course to your career path, and the underrepresented group(s) with which you identify. Please email your application to Trinity Wittman at policy@canorth.org by May 20, 2019. Include the words “Diversity in Leadership Scholarship” in the subject of your email. It is the applicant’s responsibility to ensure a confirmation of email receipt. The scholarship recipient(s) will be selected by a steering committee made up of COA members and staff. Applicants will be notified by June 14, 2019. Successful applicants will be recognized at the 2019 COA Annual Meeting in Montreal (presence is not required). The scholarship is a non-transferable opportunity. For comments or questions, please contact policy@canorth.org. Good luck! **This is not a comprehensive list of resources. Various online and in-person courses offered by Joule Inc., a Canadian Medical Association (CMA) company, that focus on comprehensive leadership development. Participants who complete five PLI courses within the last 5 years are allegeable for a PLI Certificate. A 25% discount is available for CMA members and 50% discount for residents. Variety of courses for professional development. Numerous 2-day programs offered over the course of one year. Participants who complete 5 or 6 courses will receive an AHS certificate and will be able to apply these courses to the CCPE designation through CMA. The overall program themes change annually but maintain a focus on management and leadership. This highly-interactive one day event focuses on you: exploring leadership styles, balance and skills, and creating your own personal leadership development plan. The program is comprised of ten modules as well as Orientation and Graduation. Each session has been designed to address key areas of academic leadership within the University of Alberta context. A yearlong program offered by the Centre for Health Care Innovation in Manitoba. The course focuses on developing leadership skills while understanding the dynamics of healthcare management. Participants are required to meet weekly for three hours. Range of courses from half day to two days. A comprehensive certificate completed over the course of fourteen days and offered by the Schulich Executive Education Centre at York University. The program combines business fundamentals with healthcare leadership skills and knowledge. A two-year graduate program offered by the University of Toronto. The program brings business and management principles into alignment with a health services focus. The MHSc’s allows high-achieving professionals to earn a degree without interrupting their careers. Three 4-day modules offered over the course of one year with coaching and remote learning in between. Applicants must have been in a faculty position for at least 3 years and have academic leadership roles and/or responsibilities. Participants will develop the capabilities to successfully lead their division, program, research, education or other academic unit. Offered by the Schulich Executive Education Centre and available for OMA members, the program provides leadership training along identified learning pathways in a group setting. Participants are required to meet for 4 in-person seminars held in Toronto and one remote course. Three 5-day modules over the course of one year and offered by the University of Toronto. The program focuses on leadership skills required to achieve the foundational building blocks of personal, organizational and system change. The program is aimed at current or potential senior members of leadership teams in health care. Classroom sessions over 6 days (over the course of four months). Four courses: Mindful and Influential Leader, Reinforcing Your Tool Belt, Agile and Adaptive Leader, Leadership in Action. A variety of leadership courses ranging from 2 days to 12 days. A 24-credit graduate course in management, leadership, coaching, and development. Various bilingual courses on leadership and management. 15 credits taken over 3 semesters, part-time. 9-credit leadership program, with an option for full-time or part-time. A variety of leadership courses. The online program is comprised of 8 units and offered by the Dalhousie Faculty of Medicine. Optional in-person networking meetings are also held annually. The program provides an opportunity for faculty to become more familiar with the functioning of the medical school and acquire knowledge and skills to take on expanded roles in their academic settings. The PLDP is offered by Doctors Nova Scotia and is designed specifically for Nova Scotia physicians. Participants must commit to attend six 2-day modules. In addition to course work and action learning projects, participants will benefit from five, one-hour individual coaching sessions. The Physician Management & Leadership Program is a ten module accredited certificate program designed to prepare physicians (and other healthcare professionals working in medical administration) to become effective leaders and managers. The American Orthopaedic Association (AOA) and the University of Southern California (USC) Marshall School of Business Executive Education offer a 10-month program designed for the specific needs of orthopaedic surgeon leaders. Participants work in a collegial environment with professional networking opportunities. 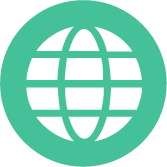 In-person and remote courses offered over the course of one year. The focus is on educational leadership with specific programs for Post Graduate Medical Education, leadership in IT, and change leadership. A one-day workshop and multiple post-conference sessions linked with the AMEE conference. The program is run through interactive group activities, short presentations, and individual exercises aimed towards gaining insight into the impact of leadership styles. Registration for the AMEE conference is required to attend the workshop. The Surgical Leadership Program is the Harvard Medical School postgraduate certificate program for surgeons seeking to step into and succeed in leadership positions and acquire the skills needed to excel as heads of departments, divisions, projects, and institutions at large. Participants learn directly from Harvard’s leading faculty across all areas influencing surgical leadership, including communication, mentoring, process and quality improvement, change management, financial management, and surgical research and technique. This is a one-year long certificate course with three 4-day workshops in various locations. The Pediatrics Leadership Program (PLP) is an innovative yearlong certificate developed by faculty members at Harvard Medical School (HMS) and University College London (UCL) Great Ormond Street Institute of Child Health (ICH). Designed for physicians and pediatric health care professionals who wish to become leaders in pediatrics, or who want to strengthen their existing leadership skills in the field. This program brings together an elite group of pediatricians providing access to a worldwide community of like-minded clinicians. SQIL is a one-year certificate program consisting of three in-person, 4-day workshops, live interactive webinars, pre-recorded lectures and peer collaboration. This program will give participants direct access to the world’s leading authorities in safety, quality, medical informatics and health leadership. A catalogue of multiple several day long courses available on the topics of healthcare education and leadership. This professional development program delivers evidence-based strategies, skills development and education that help women at various stages of their healthcare careers step into and succeed in leadership positions. Program to help clinicians create a leadership development plan. Curriculum designed to fulfill requirement to achieve Certified Physician Executive designation. Variable, self-study with on-site sessions. For new leaders entering executive roles; how to face challenges with these position. 3 days onsite, 3 times/yr. Professional and personal development for women leaders in academic medicine. Year-long program, 4 week long sessions on site. Leadership development within orthopaedic surgery; network development.